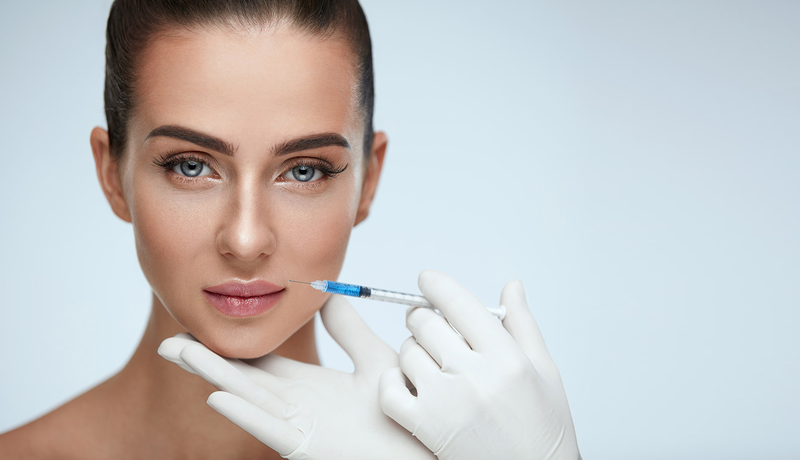 In this procedure toxins (neurotoxin produced by the bacterium Clostridium) are injected into the skin which block signals from the nerves to the muscles. This causes temporary relaxation of the muscles. In facial and neck muscles this helps to smoothen the lines caused by muscular activity and to contour the lower face and neck. However, static facial lines such as those caused by sun damage or volume loss, will not respond to this. These injections are made simple and almost painless using very fine needles. You should start seeing improvements in 2 to 3 days; however, the full effects can take up to 30 days. The benefits of the treatment can last between 4-6 months. Shorter duration of effects may be observed in some, due to resistance to the toxin. You will get a free follow up appointment 2-4 weeks after your treatment for any top ups if necessary. Toxin treatments are popular with men as well as women. In fact, the popularity seems to be rising in men! Fillers are generally used to improve volume and help in contouring the face. They can also enhance the hydration of the skin. Hyaluronic acid (HA) is a natural component of the skin which helps to maintain its smoothness and elasticity. It is hydrophilic (absorbs water) and hence intensifies the moisturising effect and the suppleness of the skin. The choice of filler used will depend upon the area being treated and what you are wanting to achieve. Dermal fillers are used to enhance the hydration of the skin and maintain its smoothness and elasticity. This is a relatively quick treatment that can be performed with or without a local anesthetic/numbing cream. They can also be used to replace lost fat and plump out areas that have come to look somewhat gaunt e.g. cheeks and hollow temples. A client can have fillers to fill and change the shape of their lips, chin, jaw or their nose. Lip Fillers can create fuller lips and correct droopy corners of the mouth. It is tailored to meet your expectation be it subtle or a more voluptuous effect. This is a quick procedure and can be performed with or without local anaesthetic/numbing cream. The results are usually instant. There could be some initial swelling which settles very quickly after treatment.